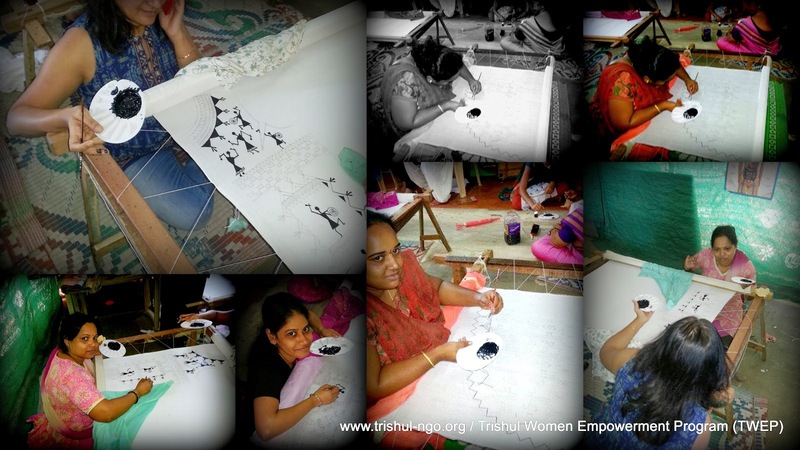 At Trishul Women Empowerment Program (TWEP), our aim is to support economically less-privileged women from rural areas and urban slums as well as revive traditional art and handicrafts by training and encouraging budding artisans through our skill development programs. 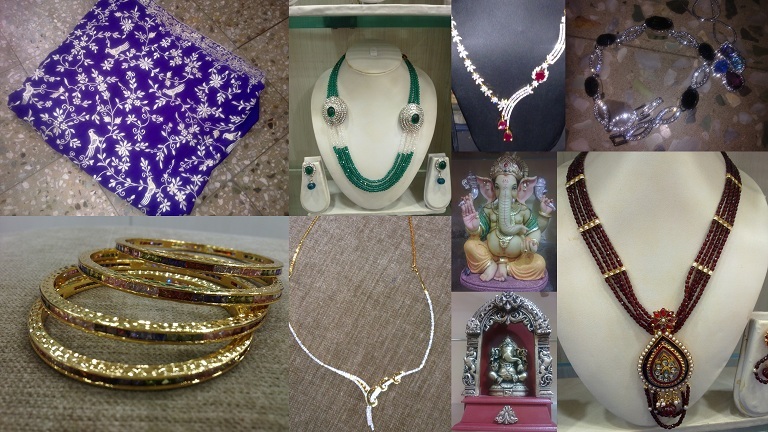 At TWEP, we conduct free skill development workshops on hand embroidery, painting methods such as Madhubani and Warli, basic stitching, and creating home decors, handcrafted jewelry, bags, hand-painted greeting cards, and so on. Livelihood generation program: Sales proceeds of our carefully crafted products ensure a steady source of income for the women involved. As Trishul extends the training and support to more and more women, we hope to better the lives of multitudes of families, as empowering a woman means empowering a family. At TWEP, we also conduct periodic health check-up; mentoring and counselling sessions, yoga, and similar supportive activities. We are also planning to start a daily nutrition program at TWEP and TLC to tackle urban malnutrition, a much-ignored malady. Click here for your Works Address: Our TWEP center is open from 1 pm to 5:30 pm (Monday to Saturday). We request you to take appointment and visit so that we can organize someone to be available for meeting you. Marital status: Most of the women are married with young children. Family constraints: Not permitted to go out of home or away from home for working on a regular full-time job. Developing a self-sustainability through skill and holistic development. Fair Trade for the Artisans. Developing Handcrafted quality products that are Eco-Friendly and Organic, or recycled. Traditional Artwork like - Warli; Madhubani painting (on eco-friendly organic/recycled paper; garments). Handcrafted stoles, cushion covers, accessories etc. Apparel stitching (designing, cutting, and stitching). Periodic Health and Nutrition Check-ups. Teaching yoga for managing stress. Teaching basic English language and Personality Development. Introduction session on benefits of Banking, Insurance, and other government programs. Building their production capacity and logistic support for TWEP Team Members. Programs Under "Trishul Women Empowerment Program" (details click on links below). Women Artisans Volunteers (trainers) needed to Train Beneficiary Women from TWEP is various Handicraft that would help in livelihood generation. 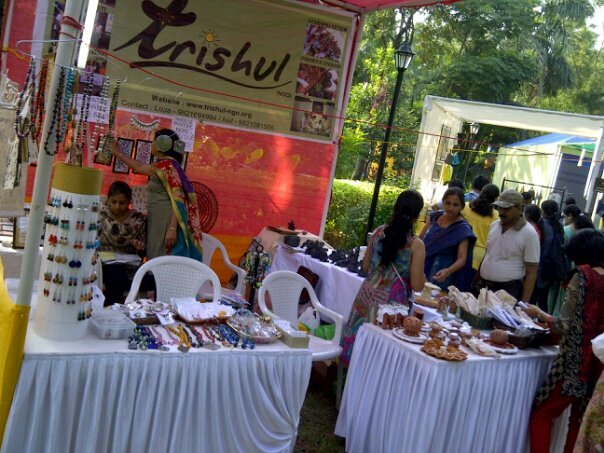 Oct 31st, 2015 - TWEP Team Participates in Parivartan Craft Mela at Goregaon Sports Club. Click here for details. Nov 2nd and 3rd, 2015 - TWEP Exhibits their handmade handicraft and products at HSBC Bank. Click here for details.